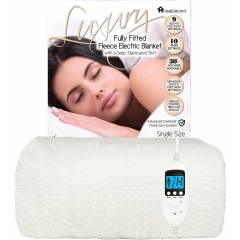 Keep warm in the lap of luxury on those crisp winter evenings with our award-winning range of premium electric blankets. We’ve been keeping families across the country warm for over 20 years now thanks to our unique, ultra-soft fabrics and innovative heating elements. Our blankets are all designed in the UK, where they’re subject to strict testing to make sure every stitch meets our and your high standards. 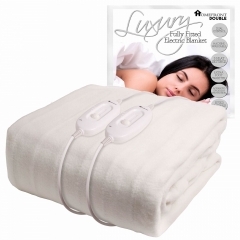 Each and every blanket is made with premium, plush fabric for maximum comfort. 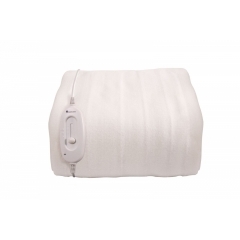 The natural cosiness of our blankets means they retain heat much better than lower-quality brands, so they require much less energy to heat up. 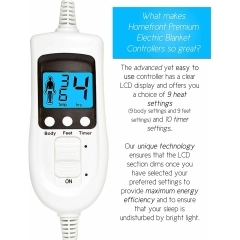 This means you can enjoy being toasty warm without having to worry about racking up a huge electricity bill! 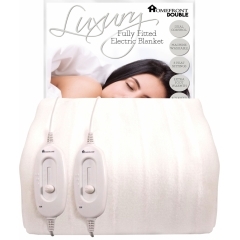 Homefront electric blankets are a cut above the rest. 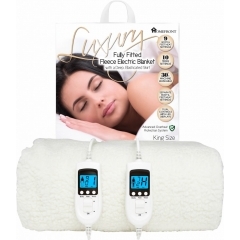 Hundreds of thousands of people in the UK are enjoying a peaceful night’s sleep courtesy of our state-of-the-art heating technology which heats your whole bed to your desired temperature. 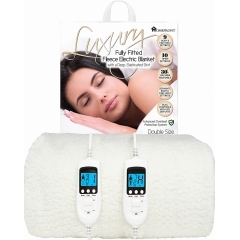 You can rest easy with our electric blankets; they’re safe, soft, and superior in quality. 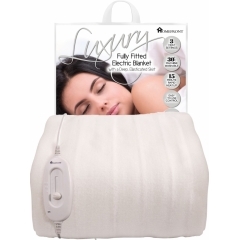 In fact, our loyal customers have told us time and time again that their only complaint is that their electric blanket makes it difficult to get out of bed on a morning! 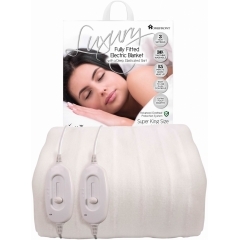 If you're looking to get a great night's sleep, you're in the right place.